Woodstock, VT: Skylight Paths Publishing, 2010. Hardcover, 350 pages. There are certain books that every well-informed Christian feminist must have on her or his shelf. There are certain books you read with a highlighter in hand so you can pinpoint special passages of delight and challenge. There are certain books you long to discuss in a community of like-minded people. This is one such book. New Feminist Christianity: Many Voices, Many Views is an anthology celebrating the coming of age of the Christian feminist movement. After decades of development, here we have mature, fully-formed accounts of theology, hermeneutics, ethics, liturgy, and ministry. The essayists present their unique perspectives on these categories as they are situated in the particularities and intersecting oppressions of their bodies as Black, disabled, Asian, Mennonite, Indian Dalit, lesbian, Roman Catholic, White, evangelical, Latina, transgender, and so on. 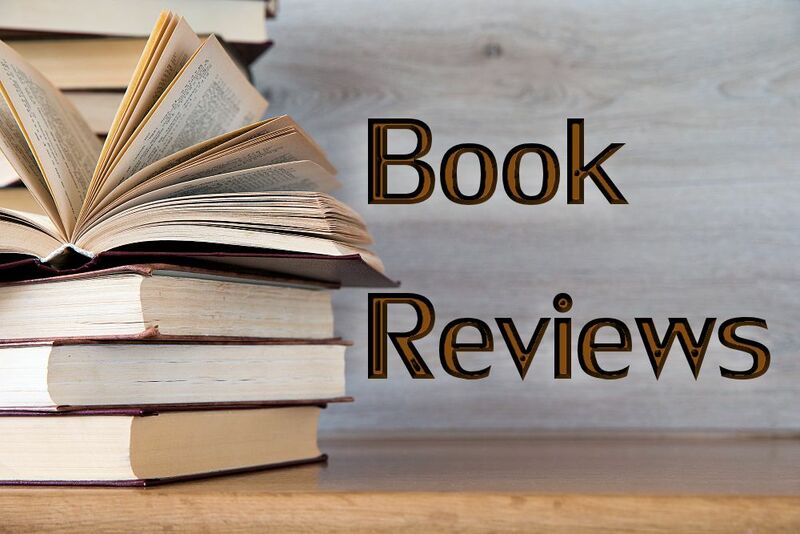 The names of some of the authors will be familiar and dear to the readers of Christian Feminism Today, but I also hope the directory of contributors and the bibliography for further reading can be mined for ideas for new speakers and performers to invite to future EEWC conferences. Many of these women I would love to hear in person. 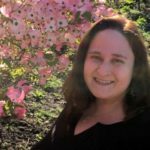 Together, they treat Christian feminism like a marvelous faceted prism: turn it one way, and an essay brings into focus domestic violence and sexual abuse through the Christian feminist lens. Turn it another way, and now our attention is trained on Christian feminist approaches to preaching and communion. Turn it yet again, and now we’re looking through Christian feminist eyes at antiracist activism. This anthology emphasizes that the faith-inspired movement for equality and justice is an all-encompassing worldview through which we engage our entire lives. Kwok Pui-Lan opens the theology section with a postcolonial proposal to value non-Western women’s rituals and spiritual practices. Then, Rosemary Radford Ruether traces the history of feminist theological education, a topic she also recently addressed in a Women’s Alliance for Theology, Ethics, and Ritual (WATER) teleconference. Different aspects of Latina theology for peace and against kyriarchy are presented by María Pilar Aquino, Nancy Pineda-Madrid, and Wanda Deifelt. W. Anne Joh provides her answer to the question, “What might a theology of the intersectionality of oppressions —gender, race, sexuality, and class— look like in lived experience?” Evangelical feminism is represented by Letha Dawson Scanzoni, who maps the history of our movement with her five stages of “awakening, building, catalyzing change, backlash, and awakening again with a new set of players” (p. 69). Many different perspectives were offered in the section on feminist approaches to Scriptural interpretation. I resonated with Gale Yee’s feeling of being a “perpetual foreigner” (p. 80) in her “guild” of biblical critics. Yee credits the germinal work of Elisabeth Schüssler Fiorenza, whose essay on practicing feminist hermeneutics with a critical, creative eye follows. I was fascinated by Surekha Nelavala’s description of the present and future of Dalit feminist biblical studies as a “countertheology to caste theology, which is known as Indian Christian theology” (p. 103). Her perspective as an Untouchable of India is valuable for everyone who wants to hear voices long silenced. The chapter by Shelly Matthews examines the exegetical guidelines Christian feminists use to overcome the emotional taboo of reading the Bible for liberation. Kate M. Ott tackles a thought-provoking subject, the need for a sexual ethic for children and adolescents. She argues that we should focus on relationships rather than prohibitions for teenage sexual behavior. Rachel Bundang invokes “remix culture” as a metaphor for the agency we all have to shape our theo-ethics. Because of my own love of language and textuality, I thought I would like the section on Scripture best, but what really moved me were the essays on liturgy and art. Again and again I wrote “WOW” in the margins as Jeanette Stokes and Deborah Sokolove described the way women’s creativity has remade worship. I wish there were photos and other artwork reproduced in the book to reflect this beauty. I had never before considered one of Diann Neu’s points, that traditional Eucharistic rituals have been stripped of the woman-inclusive banquet meal model of the earliest church. Janet Walton’s examples of feminist participatory liturgy touched my heart, such as her recounting of artist Elizabeth Schell’s twelve-foot sculpture of a woman’s body which bore images of people and the earth who had been violated. The story from Judges of the concubine who was gang-raped and dismembered was read, and then the sculpture was shattered into twelve pieces. “We tied the pieces together as an act of commitment, personal and collective, to remember and to speak out. It was a liturgy of justice and freedom” (p. 210). Victoria Rue continues the theme of rituals of the human body with her essay on liturgical drama. Marjorie Proctor-Smith, in her descriptions of the songs of feminist liturgy, remembers not just the generations of women’s rituals that have already been lost to us through systematic silencing, but also the voices of second-wave women’s groups now at risk of erasure. The last section focuses on women in ministry. Barbara Brown Zikmund is the first but not the only one to address the necessity for interfaith communities and multiple feminisms. Eunjoo Mary Kim writes about Asian American styles of shared preaching that could enhance the practice of all churches. For Cynthia Lapp, Mennonite ministry brings to the Christian feminist conversation the key value of humility, which for women must be balanced with the value of power. Womanist ministers, according to Eleanor Moody-Shepherd, find themselves constantly straddling the academy and the lived experiences of the black church. Mary E. Hunt’s chapter outlines the different paths of Roman Catholic women, including the Womenpriest movement, Women-Church congregations, and women religious. From her position as an interfaith leader, Meg A. Riley identifies both “signs of hope” of feminist progress and “signs of dismay” of patriarchal backlash. 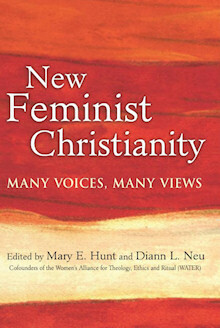 Editors Hunt and Neu conclude their anthology with their acknowledgments of some of the many topics and controversies outside the scope of their book, providing a powerful to-do list for the future of Christian feminism. The book might be slightly mistitled. I’m not sure how much will really be new to most of us who are already familiar with the corpus of Christian feminist literature; the purpose of the book is not really to break new ground but to celebrate how far we’ve come and to mark where we’re at right now. And I find it odd that in a book with new in the title, there isn’t one voice of a younger woman self-identifying as a third waver grappling with a Christian feminist view of pop culture and technology. (Okay, I admit that’s just code for “I wish I had been invited to write a chapter.”) The editors’ intention, I think, is to argue that Christian feminism is new in the long view of history, a “twenty-first century hybrid” (p. xv) arising from modern democratic exegesis, unprecedented female access to seminary training and the pulpit, and the mighty transformations made possible when marginalized identities lead the way. At the same time, Hunt and Neu also acknowledge the deep legacy we’ve inherited from religiously-motivated nineteenth-century suffragists, medieval women mystics, and inclusive readings of the ancient Word of God. Women in the ministry and students at seminary surely should read New Feminist Christianity, but also women’s studies classes and religious studies classes, feminist book clubs, and spiritual practice groups. Just give a copy to all your friends. Tell them that this is who we are. Invite them to turn the prism through all our diverse facets. And remind them not to forget their highlighter. There is nothing ‘new’ about feminism. It is ancient and occult as you should well know. It has nothing to do with true believers who still hold the Word of God as our standard. Debbie, I wonder if you might have any facts you can share to support your statement that feminism is “ancient and occult.” It would be interesting to me. So many people, especially those who identify as conservative Christians, have had the word “feminism” defined by people other than feminists, thus there is often a kind of “mistaken identity” at work. Most Christian feminists I know hold the Bible in very high regard, as it seems you do. Many have devoted years of their lives to its study, finding it supports women’s yearning for opportunities to freely share the myriad of gifts God bestows on all people, regardless of gender. The Bible, and Jesus’s ministry, seem to only verify the conclusion that women are beloved, and equally created in the divine image.